This reading group guide for Dark Corners includes an introduction, discussion questions, and ideas for enhancing your book club. The suggested questions are intended to help your reading group find new and interesting angles and topics for your discussion. We hope that these ideas will enrich your conversation and increase your enjoyment of the book. Carl Martin has inherited his father’s home in an increasingly rich and trendy London neighborhood. Strapped for cash and at work on his second novel, Carl rents the upper flat to his first interviewee: Dermot McKinnon. Looking for some quick money until the next rent check arrives, Carl sells diet pills he found in one of his father’s cluttered medicine cabinets to a friend who is soon found dead in her flat. Having lurked around the corner and eavesdropped on the sale, Dermot seizes the opportunity to blackmail Carl, refusing to pay rent. Fear soars and guilt festers until Carl’s life becomes unbearable. Obsession consumes him, pushing him to become an entirely different person, driven by deadly acts. 1. Dermot does not like that Carl calls him a blackmailer (p. 53). Instead Dermot thinks of himself as “the reverse of a blackmailer.” How does Dermot’s view of himself shape his actions toward Carl? What effect does Rendell’s choice to write this scene from Dermot’s perspective rather than Carl’s have on the reader? 2. Carl feels no guilt about killing Dermot and sleeps “soundly all night” (p. 145). Yet after the police arrive the next day, Carl is filled with dread. What accounts for this change in Carl? Is this a pattern, and if so, where else do you find it in the novel? Do you see similar behaviors in other characters? 3. Explore the symbolism surrounding Nicola’s green goose statue. Why might have Rendell decided to use this object as a murder weapon? 4. There are several cases of blackmail in Dark Corners. Apart from Dermot and Carl, consider Lizzie and her captors, Sybil and Carl, and even Sybil and Dermot. What effect does this layering create? 5. Carl knows that giving the pills to Stacey isn’t against the law, yet his fear that Dermot will tell is the driving force of the novel. What is it that Carl fears most? How do Carl’s fears lead him to Dermot’s murder and Sybil’s attempted murder? What scenes in particular foreshadow Carl’s final decision to turn himself in? 6. It’s often said that Rendell transcended the mystery genre. In what ways does Dark Corners push beyond the typical whodunit crime novel? 7. The popular proverb “money is the root of all evil” coincides thematically with Dark Corners. Explore the power money holds over the characters, particularly Lizzie and Carl. How are their relationships to money and material desires similar? How are they different? 8. Dark Corners is set in present-day London, in an up-and-coming neighborhood. Most scenes take place in familiar locations like a veterinary clinic, city buses, and modest homes. Crimes are committed in mundane locales such as bus stops, front doors, and suburban streets. How does Rendell’s use of the everyday reflect on her dark, almost unredeemable characters? 9. 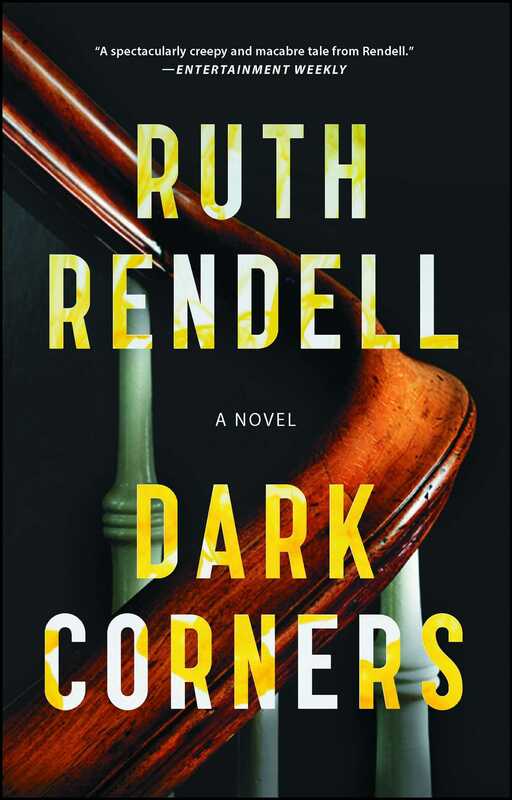 Rendell incorporates themes such as racism, environmental concern, and domestic violence within her mysteries, which makes for a different kind of crime novel. What themes from Dark Corners stand out? 10. In the final scene of Dark Corners, the reader learns that Carl has confessed to the murder of Dermot McKinnon through Dot and Tom as they read the newspaper. Why did Rendell end Carl’s story this way? Discuss why Rendell did not set the final scene in Carl’s perspective and how the novel might be different if she had. 1. Rendell wrote more than sixty books, many of which were adapted for television or made into feature films. The Spanish romantic thriller Live Flesh, loosely based on Rendell’s novel of the same name, was adapted into a film by Pedro Almodóvar. Watch Live Flesh and discuss what scenes from Dark Corners you would like to see adapted for the screen. 2. Samuel Langhorne Clemens used the alias Mark Twain, Stephen King published novels under the name Richard Bachman, and Daniel Handler used the pseudonym Lemony Snicket for a series of books. Similarly, Ruth Rendell authored books as Barbara Vine. The Guardian noted that Rendell saw Barbara Vine as “a bit more serious, a bit more searching, analytical perhaps.” Read one of the Barbara Vine novels. What differences do you see in this authorial persona?